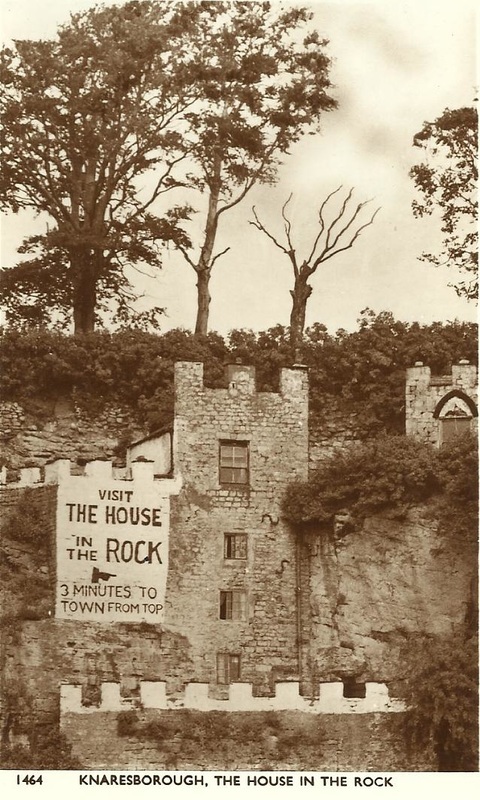 Fort Montagu is three stories high, inhabited by a family who lived beneath the rock, which has nothing artificial but part of the front. It was the work of 16 years, performed by a poor weaver and his son, which since its completion has been called FORT MONTAGU, from this poor man's kind patroness, the Duchess of Buccleugh; having on top a fort with cannon, a flag waving and other military appearances. The same ingenious artifices has cut a solid rock in such a way as to form a garden, with terraces, on the very acme of the cliffe. And by the labour of many years he has formed in the garden...pleasant walks, ornamented with a profusion of shrubs and flowers. Here also a green-house and tea-room, which are much frequented by visitors from Harrogate, etc. Fort Montagu is on Bunkers Hill. 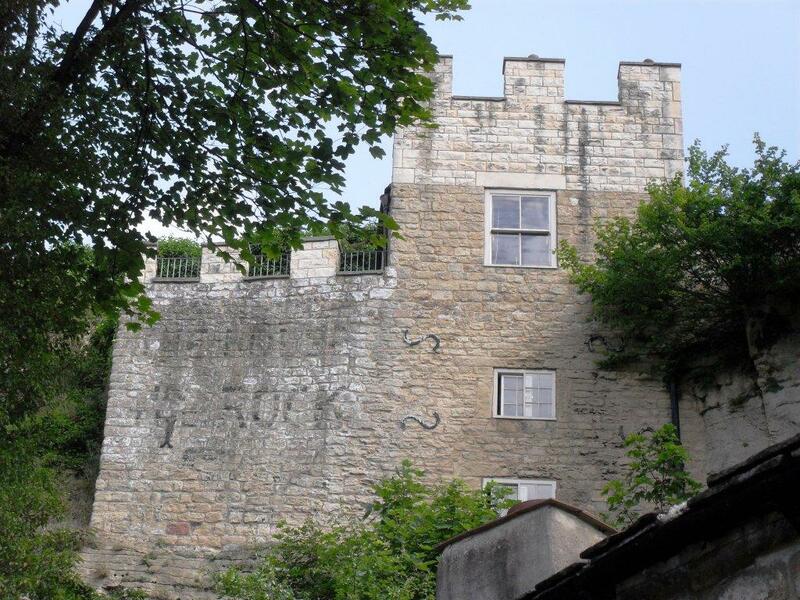 For many years it was owned by Ampleforth School and was for sale in 1998. 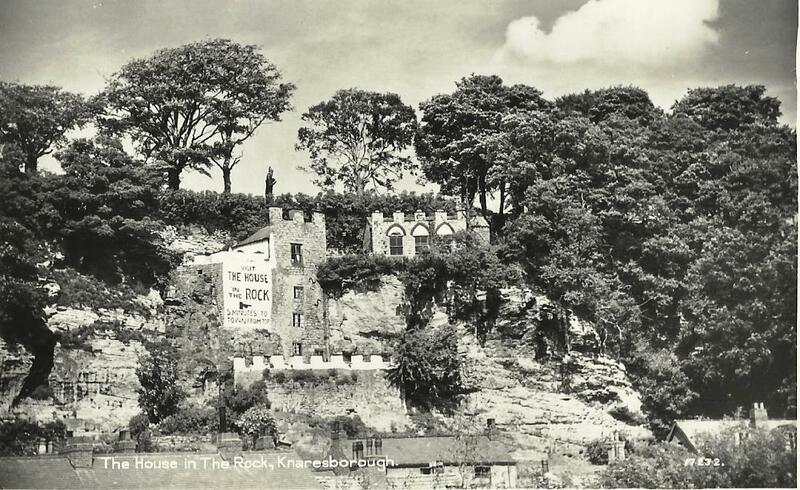 The Shrine of Our Lady of the Crag is thought to be one of the oldest wayside chapels in Britain and it was carved in 1408 by John the Mason in thanksgiving after his son was unharmed when falling rocks narrowly missed him. Edwardian postcards confused the shrine with nearby St Robert's Chapel. 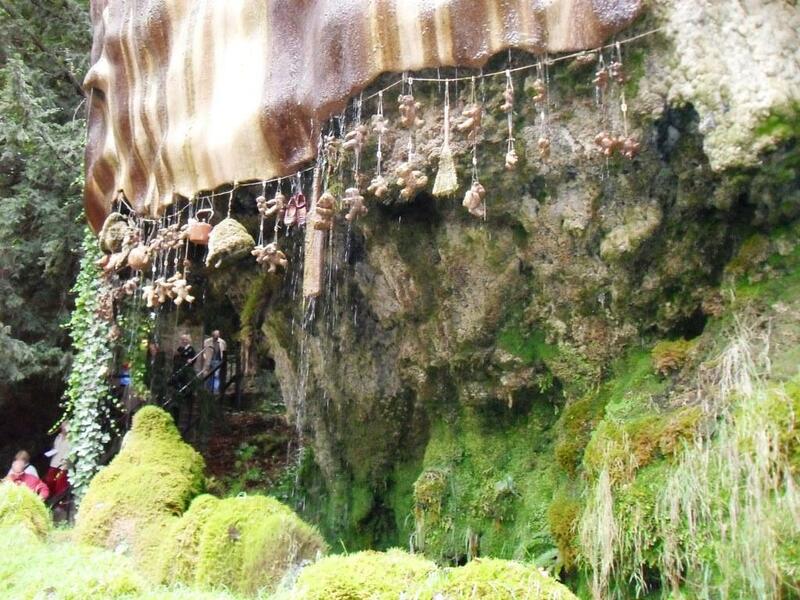 The hermit's cell was carved by Robert Fowler in the 12th century after he renounced his worldly possessions in order to give healing to pilgrims. 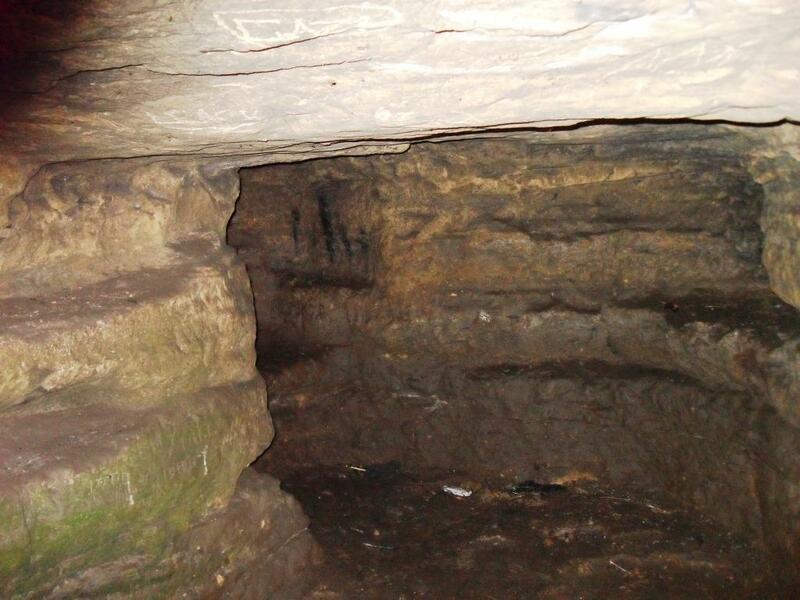 In 1745 Eugene Aram hid the body of Daniel Clark, a local shoemaker, in the cave.